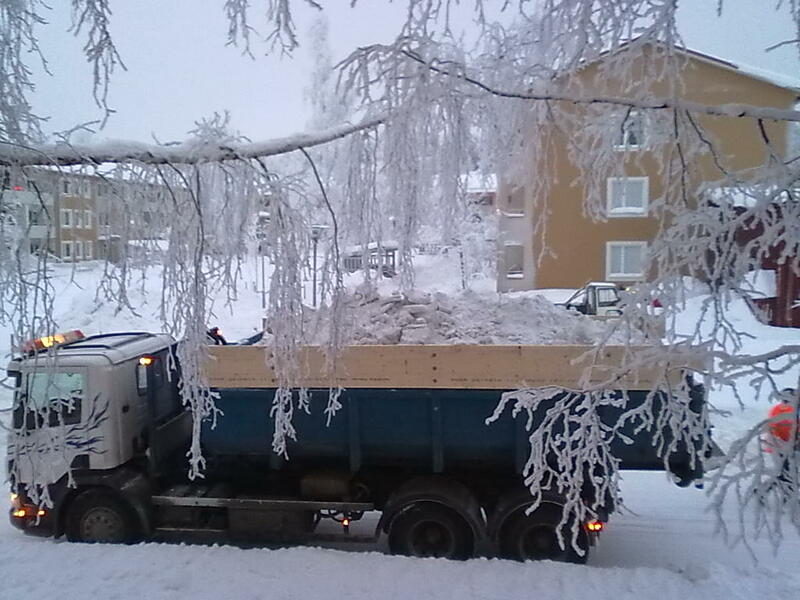 Here in Luleå, there is some serious snow removal going on! Snowplows range from very small to humongous!!! They not only clean snow from the streets, but also from sidewalks! Recently, they have been breaking up the 5-6 inches of packed snow & ice from the streets and they pile it all up in gigantic snow piles. the dump truck filled with the dirty snow, I started thinking about Jesus dying to remove our dirtiness. You know, the bad things we all do. This dirty snow gets taken to the snow dump and there melts into the ground never to be seen again! And that’s just why Jesus came; to take away the dirtiness & unpleasantness of our lives never to be seen again!!!!!! !